Walt Disney World is definitely one of the most amazing places to ring in the New Year and welcome 2019! 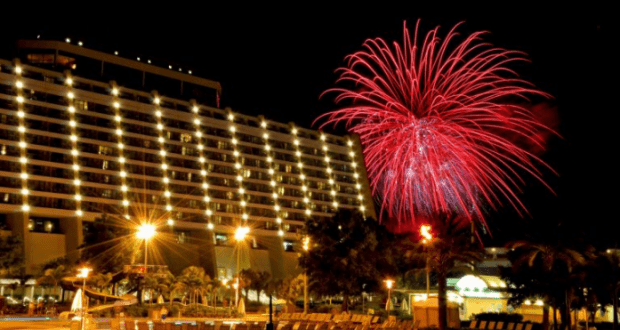 If you are already starting to make your plans for this New Year’s Eve, then you will want to consider celebrating at Disney’s Contemporary Resort at Walt Disney World. The reservations are already available for different events and offerings that look to be pretty amazing! There will be 2 different New Year’s Eve celebrations for guest to consider, Pixar Party: A New Year’s Eve Celebration and Disney Countdown to Midnight (which includes an option to purchase special VIP access to the Ink and Paint Club). The celebrations each have a different vibe and feel to them so you can check out the details below to see which one would be the most appealing to your party! Character meet and greets from popular Disney•Pixar movies. A variety of activities that include a boot camp with Sarge, Pixar Face Painting and a balloon artist creating favorite Pixar characters. A DJ playing fun songs with a set that inspired from Cars. Dinner that includes a themed buffet of delicious items like Woody’s Favorite Lemon Thyme Chicken Breast, Wall-E’s Pan Seared Mahi-Mahi, Rex’s Manhattan Filet, Sulley’s Beast White Cheddar Baked Mac & Cheese, build-your-own salad options, desserts, kids’ favorites like chicken fingers and more. The cost for the event is $190 per person, which includes applicable taxes and gratuities. There will be a dining area called a “cheftainment” station which will have a menu that has been inspired by Disney Signature Dining restaurant locations. Character appearances by Mickey and Minnie. A champagne flute at midnight while viewing the fireworks show at Magic Kingdom. A DJ playing lively music all night for guests to dance and enjoy the party. The cost for the event is $275, which includes applicable taxes and gratuities. Special photo opportunities with Mickey and Minnie. Live entertainment from a pianist. Delicious food stations that feature items like king crab, tuna tartare, sheep’s milk ricotta gnocchi, cocktails, Champagne, cordials and more – all included with admission. Reserved seating for the Disney Countdown to Midnight Party. In order to purchase this add-on, guests must also purchase an event ticket to the Disney Countdown to Midnight. The total cost with the event ticket and the Ink & Paint Club add-on is $450 per guest. The events must be purchased together and cannot be added on later. Guests that are interested in any of these events should call (407) WDW-DINE to make their reservations. Guests should be prepared to pay for the full cost of the events at the time of booking. Which of these events would you most like to attend?